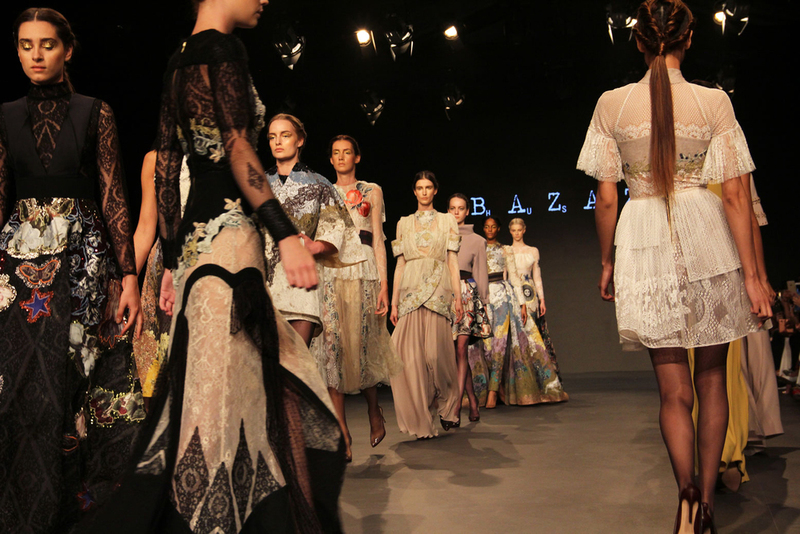 Fashion Forward Season 7 opened with a bang on Thursday with the debut of Hussein Bazaza’s Fall/Winter 2016 collection. Known for his extraordinary attention to detail, the Lebanese designer’s bold new collection did not disappoint. The edgy yet romantic line has everything you are craving for next season - ornate lace, fantastic embroidery, story-filled, whimsical patterns (cue the unicorn), metallics and more. The quirky combinations of colors, fabrics and detailing come together for pieces worthy of any hip, modern fairytale. After yet another successful Fashion Forward appearance and recently snagging the first-ever Style.com/Arabia – DDFC Fashion Prize, Hussein Bazaza is taking off. Keep this designer on your list of people to watch.